Whether you’re a facility director, conservator or day program coordinator, you work with dementia patients who have progressed far enough in their diseases that they need a unique approach to daily care. Tender Rose’s Memory Care Professionals (MCPs) are trained to handle even the most challenging dementia cases and behaviors. If you have a resident, patient or client who needs more sophisticated care than he’s currently receiving, we can help. As a facility director, you work with clients who need more one-on-one care than you can provide. Tender Rose sends its MCPs into senior facilities to help with sundowning, transition care and rescue care. 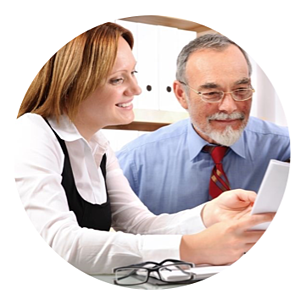 Learn more about our services for senior care facilities. As someone who interacts with dementia patients and their families on a regular basis, you’d like to have an exceptional dementia home care agency to recommend when the moment arises. At Tender Rose, dementia care is our passion—it’s all we do. Do you know a senior with dementia who needs exceptional in-home dementia care? If so, we should talk. Contact us today.